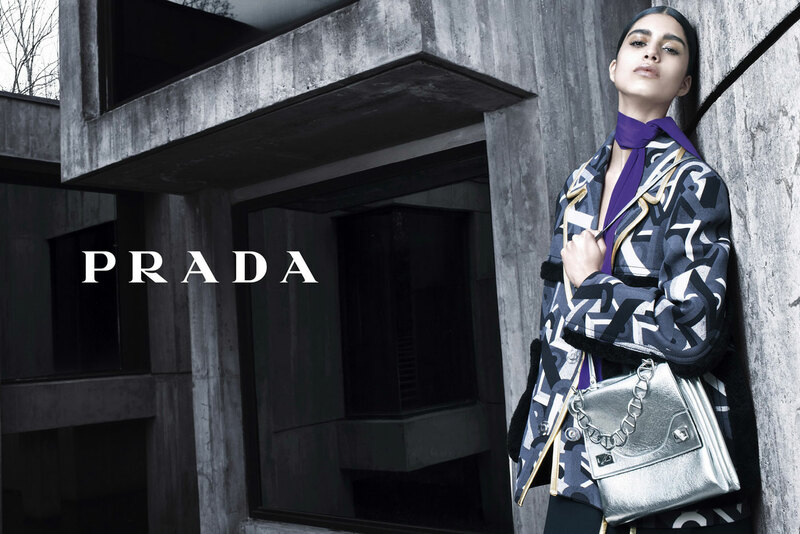 The first look of PRADA Fall Winter 2014 campaign masterfully photographed by the legendary Steven Meisel with models Mica Arganaraz and Karl Kolbitz. Meisel’s shoot for the renowned Italian label took place in Bedford Hills, New York. The gorgeous Mica is represented by Why Not Model Management in Milano, VIVA Model Management in Paris as well as VIVA London. She has recently appeared on pages of noted fashion glossies such as SSAW, Numero Paris, Elle Magazine (French edition). Arganaraz has also walked a multitude of top brand shows such as Louis Vuitton, Stella McCartney, Chloe, Isabel Marant, as well as Miu Miu to name a few. While the young Karl Kolbitz cast from Tomorrow Is Another Day model agency has the fortune to start his modeling career with a PRADA campaign. For more log on to prada.com.